With the winter upon us, and our beloved sports cars sitting dormant in the garage, luxury SUVs take centre stage. In the North American market, where SUVs have shown their popularity year after year, the competition is fierce. Desired by many, and driven by a lucky few, Mercedes Benz is synonymous with luxurious driving. 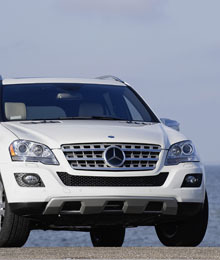 The 2010 ML350 BlueTEC is no different.